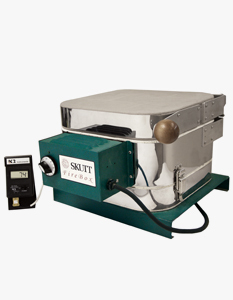 All the Glass Kilns Skutt makes are pictured below sorted by category. 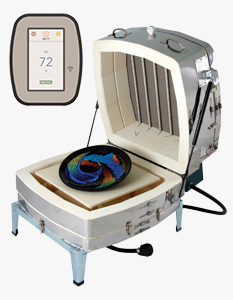 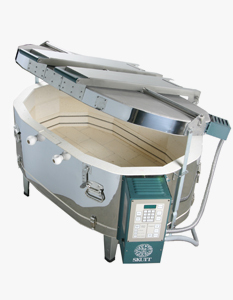 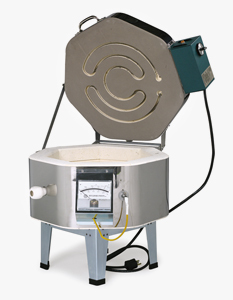 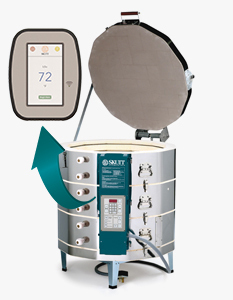 Click on the image of the kiln you are interested for more detailed information. 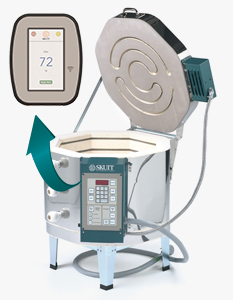 If you need help choosing a model we highly suggest you use the Build A Kiln tool to help you with your selection. 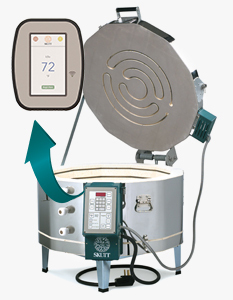 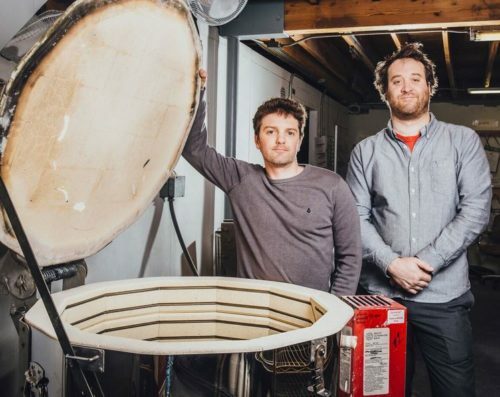 Just click on the Build A Kiln tab above to start. 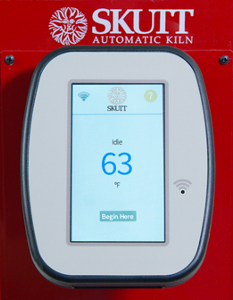 All Production Series, KilnMaster and GlassMaster models that use a full size touchpad may now be ordered with the new KilnMaster or GlassMaster Touchscreen Controller. 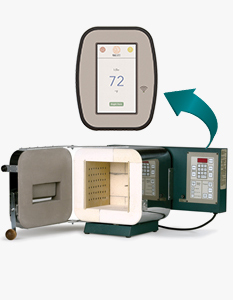 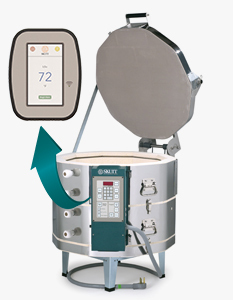 The only difference between a KilnMaster Touch Screen Controller and a GlassMaster Touch Screen Controller is the GMT Controller ships with the Ceramic programs turned off to protect you from over firing your kiln. 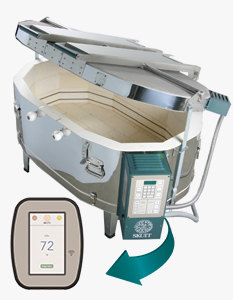 For more information on the features and function of this innovative controller and it’s associated App click on the photo below. 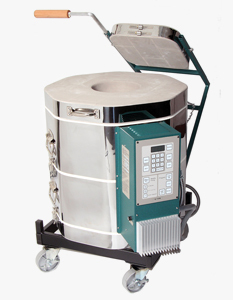 These glass kiln models are designed to handle the volume and size needed by teachers and professional glass artists. 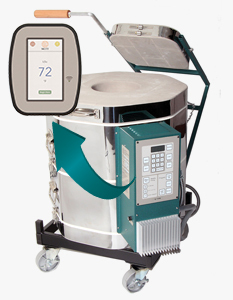 All of them can be equipped with the new GlassMaster Touchscreen Controller or the standard GlassMaster Controller. 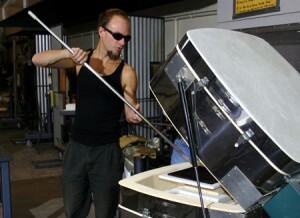 Glass Art Teachers will appreciate the amount of glass projects they can fit in these ample chambers. 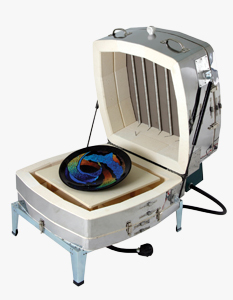 Our Glass Studio line of kilns come in a range of sizes to fit almost any professional or home glass studio. 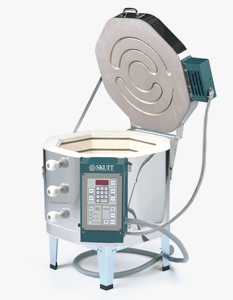 All of these models have elements in the lid and sides of the kilns making them perfect for almost every glass technique including slumping deep molds, fusing, casting and slumping glass bottles. 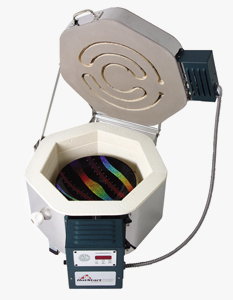 These smaller kilns are perfect for the beginning glass artist on a budget or with limited power or space. 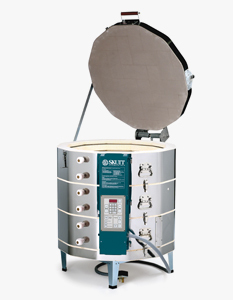 Most of these kilns can be set on a non-combustible counter for use and then easily stored out of the way in a closet after they have been fired. 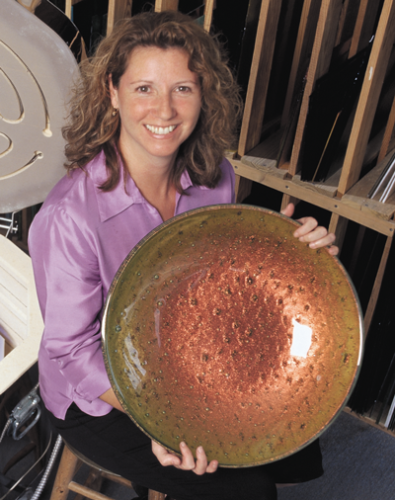 Some can fire both glass and ceramics. 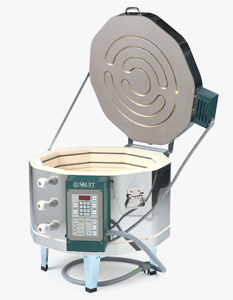 For a very long time side-fired kilns were considered only good for annealing glass. 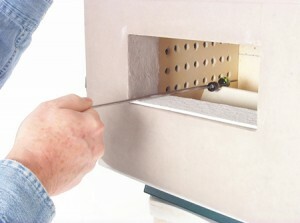 Over the years this myth has proven to be false. 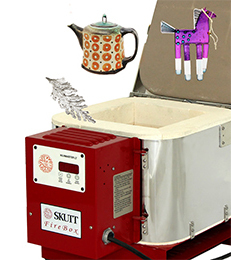 Many artist and even glass manufacturers have discovered that all you need to do is slow down the firing a little bit and you can fuse and slump successfully on multiple levels. 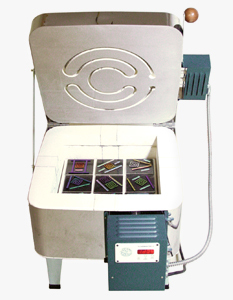 This allows you to get a lot of work in a very small footprint. 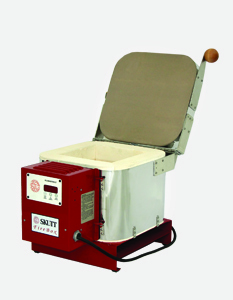 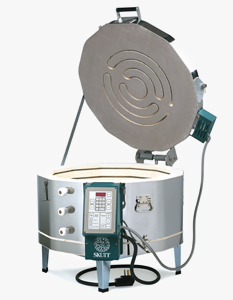 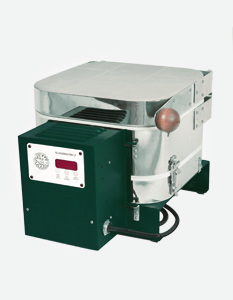 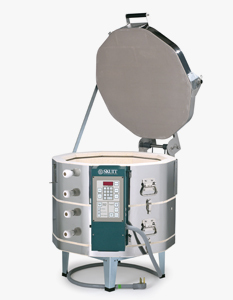 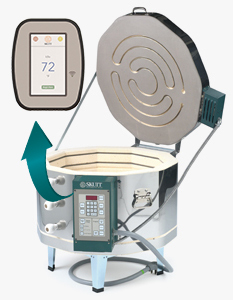 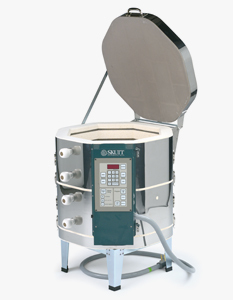 While many Skutt Kilns can be used to anneal beads the GM10F can be equipped with an optional bead door. 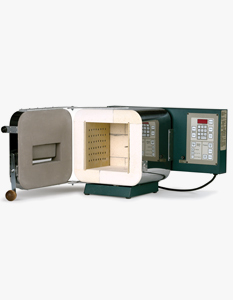 The chamber and doors are made entirely of firebrick, not fiber, so it holds the heat when you open the bead door keeping the chamber temperature uniform. 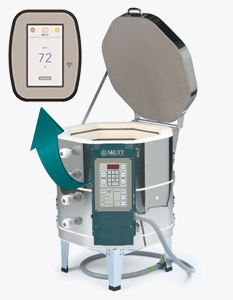 It comes standard with a full controller and has the power to reach fusing temperatures.